Berton Staples McCarroll was born July 4, 1925 to Ella Christina MacGregor and John Joseph McCarroll, Sr. in North Providence, RI. 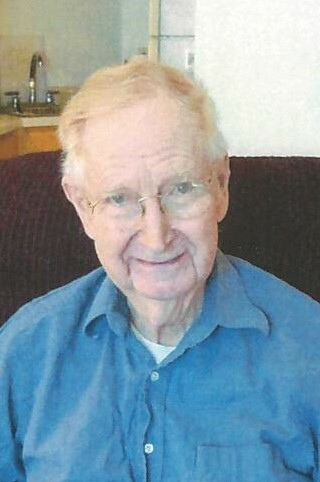 He died March 30, 2019 in Glen Ellyn, IL.He graduated from North Providence High School and became a draftsman at Brown & Sharp Mfg. before he was drafted in WWII. He did basic training at Fort Sill (Oklahoma), but before he was deployed, the war ended.He was proud to attend Brown University on the GI bill where he studied engineering.In 1952 he married Florence Marie Smith. Bert worked forFram Corporation and Facet Enterprises. His work took the familyto Tulsa, OK; he and Florence later moved to the Detroit, MI area for a couple of years and then to Elmira, NY, but they returned to Tulsa before his retirement.In retirement, he joined Florence in volunteering at the clinic at Neighbor For Neighbor. They loved home, but they also enjoyed travel: a family trip to Colonial Williamsburg, VA was a highlight as well as trips to Nova Scotia to visit relatives. They particularly loved the summer and fall weeks they spent in New England in Cape Cod (Brewster, MA):walking the sand, watching the pounding surf, enjoying fresh fish and beach plum jam, and visiting with their New England friends and family. Bert was a lifelong Boston Red Sox fan, loved Brown University men’s hockey, Second Beach in Newport, RI, and Arthur Fiedler’s Boston Pops Orchestra. He was preceded in death by his wife of 52 years, Florence; his brothers Jack and David (in childhood); his nephews, Robert (Bob) McCarroll and Peter Smith. He is survived by two daughters, Colleen (Michael Fontana) of Glen Ellyn, IL and Janet (Lee) Baggett of Griffin, GA; five grandchildren, Catherine (Kevin) Malone, Alice and David Fontana, Sarah (Jordan) Poole, and Jennifer (Trey) Davis;five great-grandchildren, Ellie and Jack Malone, Colin and Lyra Poole, and Sloane Davis; nieces, Susan McGregor (Michael Gloor) and Annelle (Craig) Covell and nephew, Bill (Pat) McGregor. The family wishes to thank the individuals who looked after him so lovingly in recent years: the staff at Brookdale Glen Ellyn, the team from Vitas Hospice, and especially Tom, Mar, Edyta, and Barbara. Visitation Tuesday April 9, 4 PM - 6 PM at Leonard Memorial Home, 565 Duane St. Glen Ellyn. Funeral Mass Wednesday April 10, 10 AM at St. Petronille Catholic Church, Glen Ellyn. Interment, Calvary Cemetery, Tulsa Oklahoma.